One of my favorites, Jessica, and I buddy read this wonderful duology by Veronica Rossi - touching on the Four Horsemen of the Apocalypse in a humorous, action packed way, fans of mythology, YA and the paranormal will love these two novels. Keep reading to see the synopses and our thoughts on each book. When Daryn claimed she was seeing visions during her sophomore year of high school, no one believed the truth. She wasn’t losing her mind; she was gaining the Sight—the ability to see the future. Daryn embraced her role as a Seeker. The work she did was important. She saved lives. Sebastian was her first—and worst—mistake. Since the moment she inadvertently sealed him in a dark dimension with Samrael, the last surviving demon of the Kindred, guilt has plagued her. Daryn knows Sebastian is alive and waiting for help. It’s up to her to rescue him. But now that she needs the Sight more than ever to guide her, the visions have stopped. Daryn must rely on instincts, intelligence, and blind faith to lead the riders who are counting on her in search of Sebastian. As they delve into a shadowy realm where nothing is as it seems and where Samrael is steadily amassing power, Daryn faces the ultimate test. Will she have to become evil to destroy evil? The very fate of humankind may rest in the answer. Gideon Blake dies in a parachuting accident while on his way to becoming a U.S. Army Ranger.... What he didn't expect was to wake up in a hospital with a weird cuff on his wrist and healing at an accelerated rate. He meets Daryn at a party and finds out that he is one of the four horsemen, War and they need to go find the other three: Conquest, Famine and Death. Told from Gideon's perspective in long flashbacks while being interrogated by the military, we see how these 4, along with their Seeker (Daryn) learn how to work together while trying to understand why they are in these roles to begin with. I had absolutely no clue what to expect from this book. But 4 Horsemen? YES PLEASE. (Though I continue to have Metallica's song stuck in my head now, thank you!) At first I thought this might be too "teen-y" for me, but as the book progressed I found myself getting involved. My favorite character is by far, Sebastian/Famine. Maybe it's because I also screw up sayings like he does... maybe it's the cheesy jokes that remind me of my father (Dad, if you're reading this.. hi!). The concept of this series is absolutely fantastic. I also felt a kinship with Gideon as I understand the military way and why he acted the way he did most of the time. The author does a brilliant job of showing the different personalities of each Horsemen. And while I was saddened that they are ALWAYS MEN, the girl did played the higher role... but if I'm being completely honest, it's really because I want one of those horses!! Even though the somewhat insta-love had me rolling my eyes, overall an absolutely solid first-in-a-series that kept me highly entertained. Straight on to book two, Seeker. 4 Solid Stars. Riders by Veronica Rossi is book one in the Riders duology. There's a mix of paranormal, action, mystery, the apocalypse, and a slight element of romance. Sounds like a lot for one book? Well, I was pleasantly surprised by how well they all blended! This was my introduction to Rossi and her writing style and all I had really heard previously was that it was the YA genre (not always my favorite, but I'm always happy to give it a try!) and it definitely didn't read like a YA book. Gideon Blake is 18 years old and is absolutely determined to become a US Army Ranger. He is convinced that nothing but death can stop him, well, it does. As Gideon recovers from the accident that killed him, he develops new powers and a bizarre cuff - that he can't remove. In death, his true destiny has been brought to life. He is War, one of the legendary four horsemen of the apocalypse. He and the other horsemen--Conquest, Famine, and Death--are brought together by a beautiful but secretive girl to help save humanity from an ancient evil. They fail. After being captured and drugged, Gideon is interrogated by the authorities about his role in a battle that has become an international incident. If he wants to save his friends and all of mankind, then he needs to convince the government that the world is in danger. But will anyone believe him? 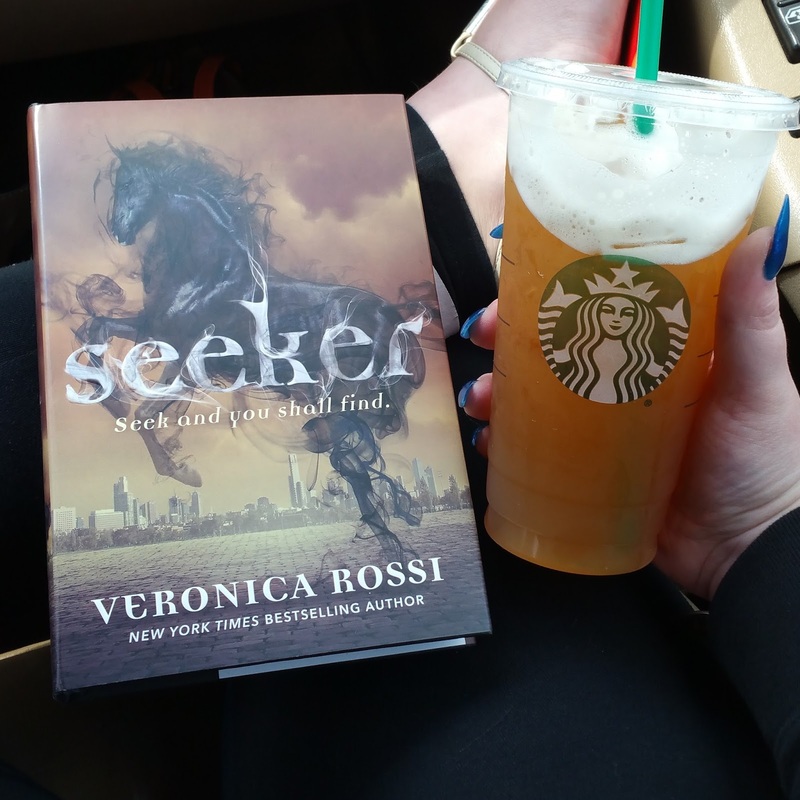 I'm always unsure of the YA feeling books, mainly because of the writing styles. I was pleasantly surprised by this one and by Rossi. So many elements happening in this book, but they all flowed together seamlessly. The concept of The Four Horsemen was something that intrigued me - it gave the book something that I haven't read before and almost gave it a mythology feel (if that makes sense - like Mars, God of War, etc.) I really enjoyed this book for what it was and I'm looking forward to the sequel, Seekers. 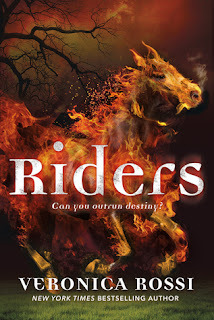 The four horsemen and their Seeker are back in the second book in the Riders duology. Only this time, there's only three of them. Sebastian is stuck in the Rift with Samrael and Daryn feels responsible. The group is somewhat torn apart from the battle they faced in Riders. They must learn to work together again and get Sebastian back. Ego and pride tend to get in the way and nothing they find in the Rift can be trusted. How far will Daryn have to go and how much will she have to compromise to find her way out of the Rift and mend her relationship with Gideon and her parents? Still very much loving the concept of this book. While this one was a little different than the first, I enjoyed exploring the Rift and watching the group continue to grow. Now that they have had time to seal their kinship, it's about loyalty and trust. Bringing the rest of their unique family together so they all feel whole again... since they all lost something important in the battle against the Kindred in Riders. Their individual, unique personalities really shine and while the first book was through Gideon's eyes only, this time we get to see through Daryn's eyes as well with alternating chapters. 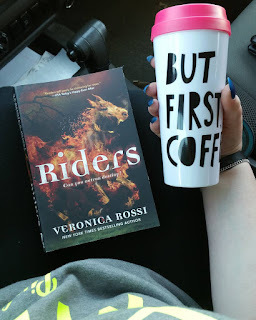 If anyone has a love for YA fantasy and supernatural touching on the four horsemen mythology, which I most certainly do, then I recommend this duology. 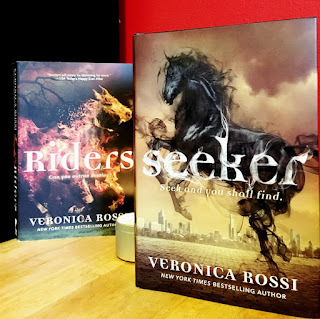 Seeker by Veronica Rossi is book 2 in the Riders series, and it definitely delivered! While I really liked Riders, I feel like Seeker surpassed it. Clearly Rossi hasn't heard of sequel syndrome. All the characters we loved from the first book are back and continued to grow throughout this book. I love being able to see the characters continued development and growth within a series - they feel like real people. 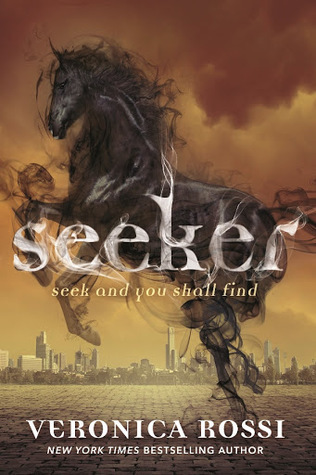 While Riders was from the perspective of Gideon, Seeker is more from the perspective of Daryn. Daryn discovered back in high school that was having visions, and of course, no one believed her. She thought she was losing her mind when in actuality, she was gaining the Sight. The Sight is the ability to see the future. 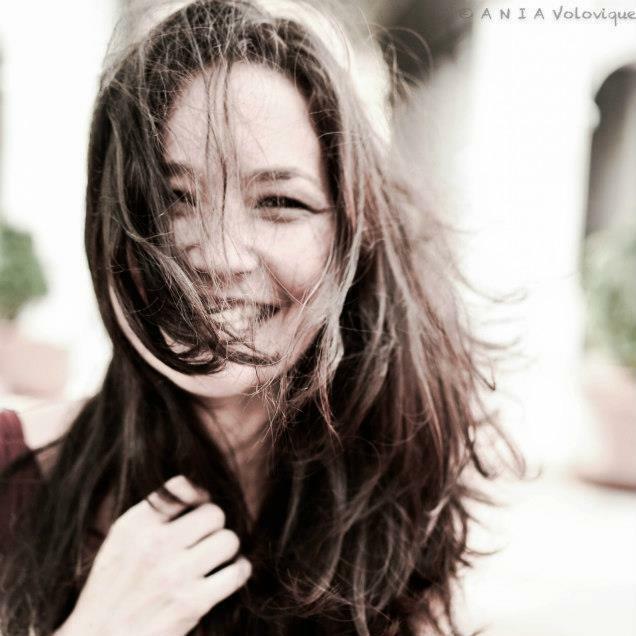 After realizing that if she really paid attention to her visions then she could truly help people - she embraced her role as a Seeker. After what had happened to Sebastian in the first book, she is consumed by her guilt over the ordeal. When she needs her Sight most, she looses her visions, and must now rely on her instincts, intelligence, and her faith to lead the Riders to him. The battle of good vs evil comes to an explosive head at the end of this book! I feel like the characters really came into their own in this book. While the plot and story carried on, I feel like this sequel was more focused on them. Gideon has evolved a lot from the first book - he's admitted his mistakes and became a stronger person. Normally I'm not a fan of any kind of romance, but his relationship with Daryn blossoms in this sequel and they mesh together so well. Not only do the characters grow individually, but as a group, the Four Horsemen become stronger as a unit. Not only are the Riders themselves great, but the horses all definitely have their own personalities! If you want paranormal, apocalypse, or a unique story line, then I'd highly recommend this duology!